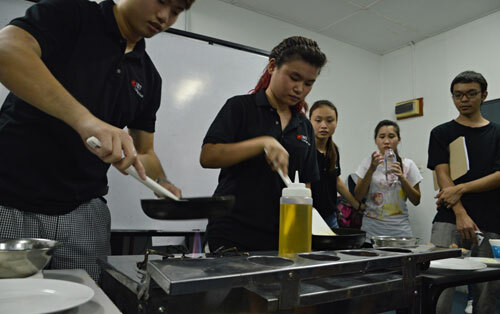 INTI’s hospitality students in action. The fun-filled event featured10 challenging activities:Peel & Chop, Egg Breaker,Concoction of Drinks, Taste themRight, Changing Soiled Table Cloth, I Luv Measuring, Table Setting, Napkin Folding, Sandwich Builder and Sandwich Monster – all of which had to be completed with finesse within a limited time. 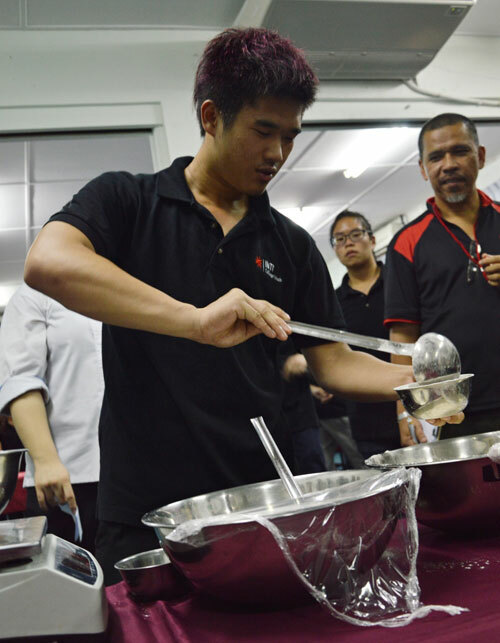 Culinary competitions, charity drives, blood donation drives and mountain climbing are among the many activities organised at ICS to provide students the chance to hone their leadership skills through practice in organising and managing. The experience and lessons from planning and execution of activities such as these provide students with a distinct edge in meeting the challenges in their future careers. “We want INTI College Sabah to be a place where students from different backgrounds and courses can meet, interact, learn and play together. Events like SOHOS’s Sports Mania instill responsibility and respect and help students build their social and soft skills as well,” said Dr Alan Lim, Principal/Chief Executive of INTI College Sabah. INTI College Sabah (ICS) offers the Certificate in Hotel Operations and Diploma in Hotel Management – Work-based Learning programmes. These cover a wide range of theoretical and practical components in the study of hospitality operations. Students will be taught to acquire the business acumen and mandatory skills needed to successfully manage a hospitality, tourism and events business, while adhering to world-class standards. The College’s dynamic combination of functional, academic and industry-based approaches will allow every school leaver to gain the necessary abilities to meet the needs of the industry. ICS is cluster leader of Malaysia Centre of Tourism and Hospitality Education (MyCenTHE) in Sabah. Cluster leaders are responsible for the successful implementation of MyCenTHE’s unique work-based learning programmes administered through a partnership between academic institutions and luxury hospitality establishments. In supporting the State Government’s efforts to boost the local economy and the incomes of Sabahans, ICS strives to provide not only the best learning facilities to students, but also forms strong partnerships with industry leaders to give hospitality graduates the best employment and career opportunities available. “We are proud to play a part in the Economic Transformation Plan of Malaysia and that the government has placed its trust in us to drive hospitality education forward. Through diverse approaches to teaching and learning at INTI,we will ensure that we continue to groom good talents to meet the growing demands of the domestic tourism and hospitality industry,” said Dr. Lim.